Being available to meet in dialogue and mutual respect. Being able to celebrate the differences that it has, and accept each other through seeing Christ in each other, and not by imposing our own image of Christ on each other. 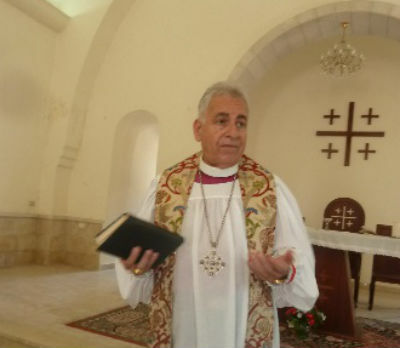 The theme of the pre-Gafcon evensong was “Friendship and Reconciliation” which was, Archbishop Suheil said, “at the heart of our Christian faith. In this land, our existence as Christians depends on these relationships. These are relationships that spiritually nourish us. I am told by pilgrims who pass through here that when they meet a Christian in the Holy land, and ask their denomination, the first response is ‘I am a Christian’. Jesus said: ‘I ask also on behalf of those who will believe in me through their word, that they may all be one’ . 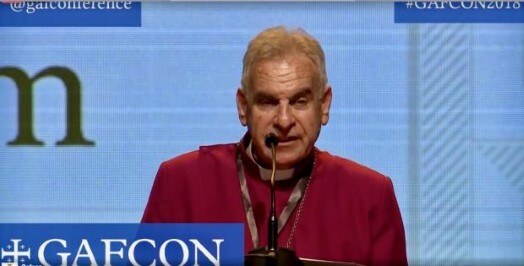 Then, in a message of welcome to the Gafcon delegates on Monday 18th June, Archbishop Suheil said: “We have a duty to recognise that Christ is revealed afresh and anew in every encounter, everyday. “Only through being open to the other, that we can begin to understand how the Kingdom is revealed – and for the Christians this must be ‘the longing is for a home from which no one is excluded’.